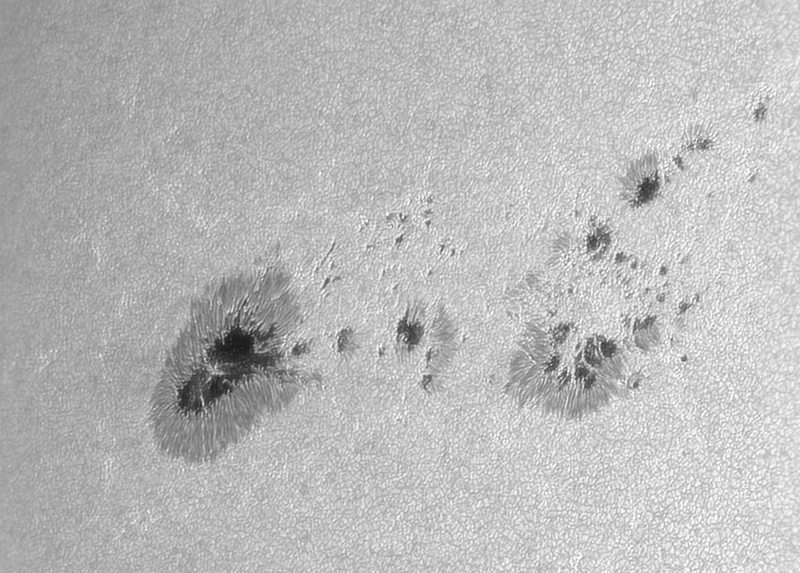 And another session with AR2396. 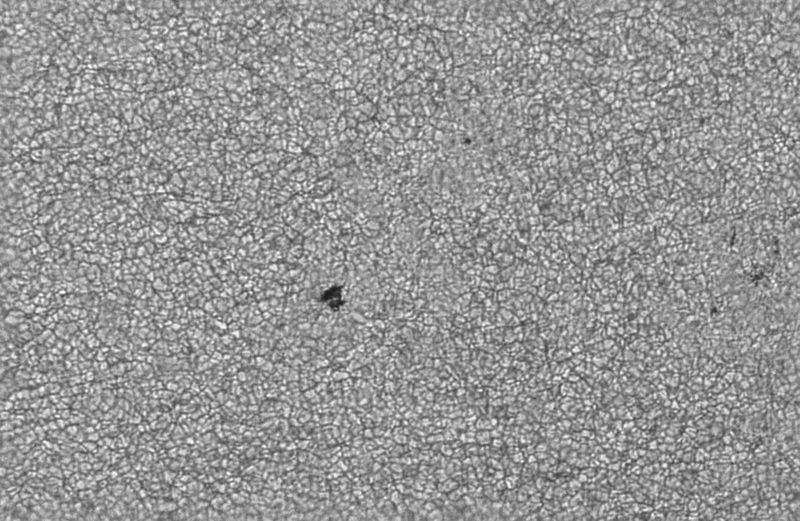 This time I had some good seeing conditions that allowed a better resolution over the Sun’s surface and better details in the main spot of AR2396. The equipment used: 200mm F/5 Newtonian at F/20 and F/50, full aperture Astrosolar filter, ASI 120MM-S camera with Baader Green filter. 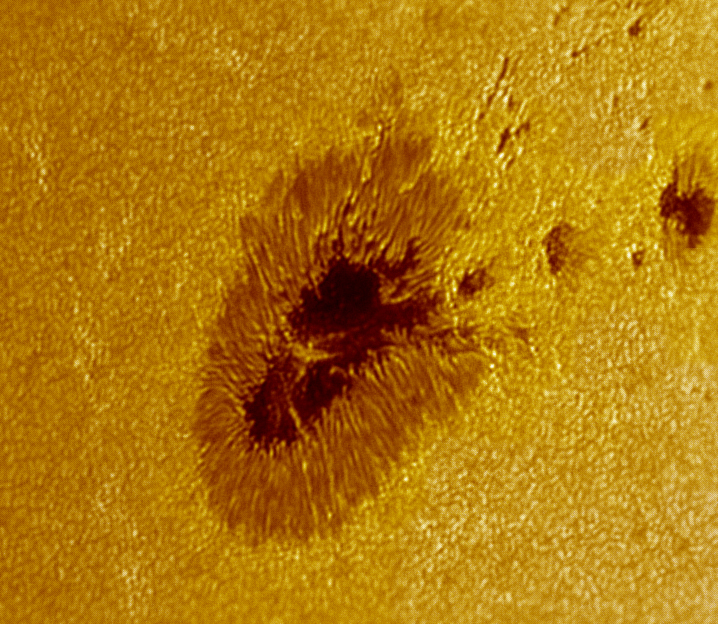 The above images were acquired at F/20, while the one below, showing only the main spot of AR2396 was acquired at F/50. This entry was posted on August 11, 2015 at 20:20 and is filed under ASTRO. You can follow any responses to this entry through the RSS 2.0 feed. You can leave a response, or trackback from your own site.